More than three million students empowered to make sound financial decisions for life. Foundations in Personal Finance College Edition is a comprehensive curriculum designed to fully support educators with everything needed for a dynamic classroom experience. Colleges and universities across the country are losing a quarter of their students to money problems. This can be prevented! Foundations in Personal Finance helps instructors educate students on how money works, keeping them in school and out of money trouble after graduation. It helps increase student retention by teaching students financial literacy, creating a healthier student body and, as a result,. a healthier university. 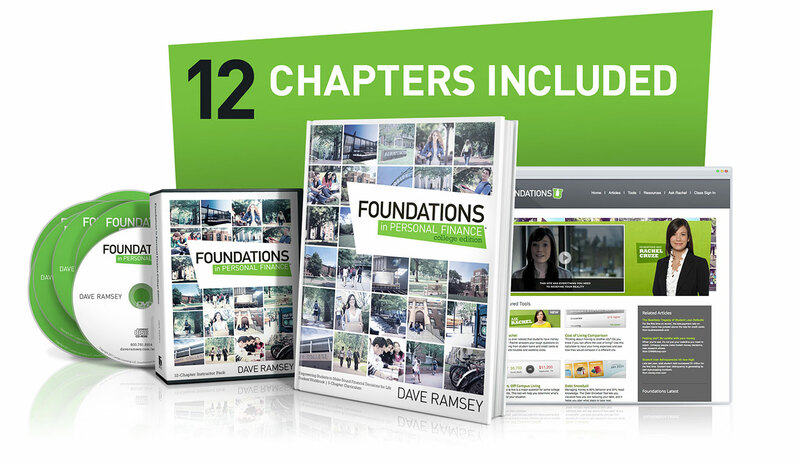 With a basic 5-chapter curriculum and a comprehensive 12-chapter curriculum, Foundations meets students where they are in their financial understanding. Through practical application of life-changing personal finance principles, Foundations will help students make better money decisions, both on campus and beyond. Check out our Frequently Asked Questions section for answers to the most common inquiries. Walk through these three easy steps to experience Chapter 1 of the curriculum. Our team of curriculum advisors works with hundreds of campuses nationwide. For an individual complementary consultation, connect with a curriculum advisor today.